Lately, I’ve been looking around for pieces to help a friend’s living room shine. 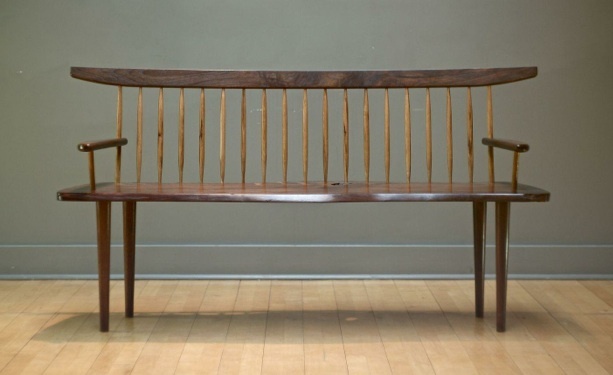 During my search, I’ve become obsessed with benches. Yeah, a weird thing to be obsessed with, but I guess that comes with the territory when you’re always looking at furniture. Anyway… I came across this bench on Chairish yesterday and can’t get it out of my head. It’s handmade, I love the way the back is lighter, and it just oozes chic. If you haven’t heard of Chairish yet, it is kind of like Etsy meets 1st Dibs. A lot of the stuff is vintage, some is handmade or rehabbed, and, generally speaking, the stuff is higher quality than Etsy, and a little less pricey than 1stDibs.